Damages for emotional distress or any personal injury are not compensible under RICO. See, e.g., Grogan v. Platt, 835 F.2d 844, 846 (11th Cir. 1988); James v. Meow Media, Inc., 90 F. Supp.2d 798, 814 (W.D. Ky. 2000); Moore v. Eli Lilly & Co., 626 F. Supp. 365, 367 (D. Mass. 1986); City and County of San Fransisco v. Philip Morris, 957 F. Supp. 1130, 1138-39 (N.D. Cal. 1997). Thus, if acts of extortion do not allegedly cause any plaintiff to depart with their money or property, the acts of extortion do not afford a civil plaintiff any standing under RICO. 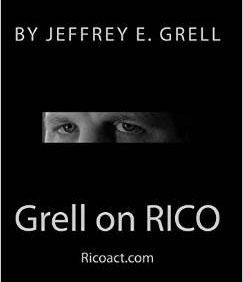 Emotional distress associated with extortion is not compensable under RICO. Also, if the threat was “pay me a $1000 per month or I will break you legs,” and the victim chooses the latter option, RICO does not provide the victim with a means to recover damages for the pain and suffering caused by getting his legs broken. The mail and wire fraud statutes prohibit schemes to defraud for the purpose of “obtaining money or property.” For purposes of standing under section 1962(c), however, the money or property obtained by the defendant need not be the plaintiff’s money or property, provided the plaintiff is directly injured by the defendants’ unlawful scheme. BCS Services, Inc. v. BG Investments, Inc., 728 F.3d 633, 638 (7th Cir. 2013). Relying on the assumption that Congress intends the ordinary meanings of the words it employs, [citation omitted], [plaintiffs] argue that the common sense interpretation of the words “business or property” includes the economic damages that result from injury to the person. We are not convinced that [plaintiff’s] contention accurately captures the ordinary meaning of those words. In our view, the ordinary meaning of the phrase “injured in his business or property” excludes personal injuries, including the pecuniary losses therefrom. . . .
Id. at 846-47. Although RICO does not enable civil plaintiffs to recover the lost wages of murder victims or those injured by criminal conduct, plaintiffs seeking such damages may seek redress for such losses in more traditional ways, e.g., by bringing a wrongful death claim or assault and battery claims. In 2005, the Ninth Circuit introduced a little twist to the bright-line rule that injuries to “business or property” could not include lost wages. In Diaz v. Gates, 420 F.3d 897 (9th Cir. 2005), the plaintiff alleged that corrupt police officers within the LAPD had fabricated evidence against him and falsely imprisoned him, which caused various forms of economic loss, including lost employment, lost business opportunities, and lost wages. Diaz described Grogan’s reasoning as “flawed.” Id. at 902. The Diaz court further distinguished “the mere loss of something of value (such as wages)” from “injury to a property interest (such as the right to earn wages).” Id. at 900 n.1. The Ninth Circuit held that although the former were not compensable as injuries to business or property, the latter form of economic harm was actionable under section 1964(c). Id. at 903; but see Avalos v. Baca, 596 F.3d 583, 594 (9th Cir. 2010) (holding that plaintiff’s over-detention did not cause any injury to property where plaintiff admitted that he was not a U.S. citizen and did not have a work visa); Jackson v. Sedgwick Claims Management Serv., Inc., 731 F.3d 556, 566 (6th Cir. 2013) (plaintiff’s denied worker’s compensation benefits by reason of fraudulent expert reports did not have standing to bring a civil RICO claim; “Michigan’s decision to create a workers’ compensation system does not transform a disappointing outcome in personal injury litigation into damages that can support a RICO civil action, even if Michigan law characterizes the benefits awarded under this system as a legal entitlement”); Brown v. Ajax Paving Ind., Inc., 752 F.3d 656, 658 (6th Cir. 2014) (Sedgwick “does not immunize any insurer, claim adjuster or medical examiner who fraudulently denie[s] or conspire[s] to deny workers their benefits”; employees may still pursue whatever relief they may be entitled to under state law). Perhaps Grogan and Diaz can be reconciled on the basis of the type of underlying injury that prevented the victims from earning wages. In Grogan, the decedents could not work because they had been killed by the defendants – murder is the ultimate bodily injury. Whereas in Diaz, the plaintiff had not experienced any bodily harm, rather the defendants had restrained the plaintiff’s liberty. The confinement – rather than any bodily harm – prevented the plaintiff from working. Although false imprisonment is traditionally considered a “personal injury,” it is not a bodily injury, and perhaps that is where the distinction between Grogan and Diaz lies.
. . . earnings stemming from the lost opportunity to seek or gain employment are, as a matter of law, insufficient to satisfy section 1964(c)’s injury to “business or property” requirement where they constitute nothing more than pecuniary losses flowing from what is, at base, a personal injury. . . . Thus, because [plaintiff’s] claims of loss of earnings due to the inability to seek out or obtain employment constitute pecuniary losses stemming from personal injury, he lacks standing under RICO. . . .
Id. at 931; see also Santana v. Cook County Bd. of Review, 679 F.3d 614, 623 (7th Cir. 2012) (defendant’s alleged defamation of plaintiff constituted a personal repetitional injury that was not actionable under RICO; plaintiff failed to explain how the defamation interfered with his work). Thus, the issue of whether false imprisonment causes merely lost wages (a personal injury outside the scope of section 1964(c)) or interferes with the victim’ s right to earn wages (an economic loss within the scope of section 1964(c)) seems destined for resolution by the Supreme Court. In 2008, the Ninth Circuit Court of Appeals also ruled that a governmental entities’ expenditure of money to enforce laws or promote the public well-being does not constitute a “property” interest within the ambit of section 1964(c). Canyon County, 519 F.3d at 976. The Ninth Circuit also held that a government “does not possess a property interest in the law enforcement or heath care services that it provides to the public.” Id. at 977. Accordingly, the Ninth Circuit dismissed a county’s RICO claim against defendant companies who allegedly hired illegal aliens, thereby increasing the county’s expenditures for law enforcement and publicly funded health care. To confer standing under section 1964(c), the plaintiff must experience a concrete injury to business or property. See Gomez v. Wells Fargo, N.A., 676 F.3d 655, 661 (8th Cir. 2012) (homeowners did not experience concrete financial loss simply because the lender charged the homeowners the fair market value of an appraisal, rather than the reduced appraisal price that the lender an negotiated with the appraiser); Simpson v. Sanderson Farms, Inc., 744 F.3d 702, 709 (11th Cir. 2014) (the plaintiffs alleged that the defendant’s hiring of illegal immigrants depressed their wages; the court dismissed the claim, reasoning: “The problem here, however, is that the plaintiffs have pled injury at only the highest order of abstraction and with only conclusory assertions. They have offered no market data that might permit us plausibly to infer a gap between the wages they actually received at Sanderson and the wages they would have received but for the alleged … misconduct. Certainly, the plaintiffs have provided no direct evidence of lost profits” (court’s emphasis)); Ray v. Spirit Airlines, Inc., 836 F.3d 1340, 1350-51 (11th Cir. 2016)(the plaintiffs claimed that the defendant fraudulently depicted a portion of its airfare as a government fee; but the court held that it strained credulity to insist that a customer willing to pay $129 in base fare plus $8.99 in a passenger usage fee would not have purchased the ticket if the passenger knew the fee came from the airline not the government); but see Gil Ramirez Group, L.L.C. v. Houston Ind. Sch. Dist., 786 F.3d 400, 410-411 (5th Cir. 2015) (stating that a plaintiff need not show that the other party would have been obliged to confer a benefit, only that the other party would have conferred the benefit but for the corrupt activity and dismissing the plaintiff’s damage claim relating to bids that it allegedly lost due to corruption but sustaining the plaintiff’s damage claim relating to a sudden decline in jobs assigned to the plaintiff during the period of corrupt activity); Chevron Corp. v. Donziger, 833 F.3d 74, 135 (2d Cir. 2016) (stating that “[t]he nature of attachment is to prevent the asset’s owner from using or disposing of his property as he wishes” and that “incursion into the owner’s property rights constitutes injury” to business or property under section 1964(c)); Blevins v. Aksut, 849 F.3d 1016, 1021 (11th Cir. 2017) (the plaintiffs alleged an injury to business or property by seeking amounts paid for the unnecessary heart procedures that the defendants fraudulently induced the plaintiffs to undergo).